For all of you out there who have been hoping and wishing (and praying) that I would create templates of some of the classics, today is your lucky day. 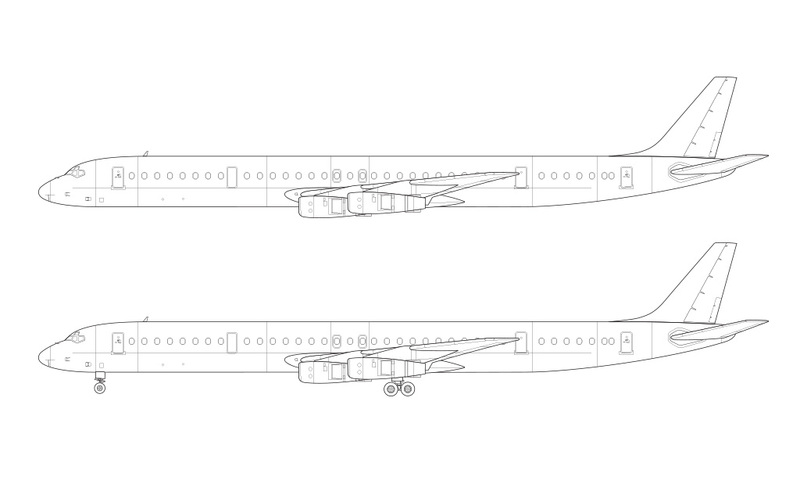 This DC-8-61 falls solidly into the “classics” category, and I’m thinking that it will fit in nicely beside my existing L-1011 and 727 templates over on my online store. It’s a template that I’ve been looking forward to creating for quite some time, and I’m really excited to have it finished and posted here to the blog. And I know – you’re probably just dying to know why I started with the -61 series first since the entire DC-8 line is so extensive with many other interesting variants, but the honest truth is that there has been somebody who has been waiting patiently (over a year at least) for me to create this specific version. Basically, I just felt really bad for making him wait for so long, so I decided to roll up my sleeves and get it done. And I’m really glad that I did, because just like the 727 template that I created earlier this year, this one brought back waves of nostalgia that I didn’t know that I had in me anymore. Sadly, I never had the chance to ride on Douglas DC-8 and it still bugs me a little to this day. Though as a child from the 70s, I still remember when they were very popular aircraft! My best DC-8 memory? I was 15 years old when our entire family flew from Detroit to Boise, Idaho on United airlines (with a connection in Denver), and it was amazing to see an entire concourse filled with DC-8’s and DC-10’s during the connection at Stapleton Airport. I remember walking from gate to gate looking at all those cool looking DC-8’s up close, wishing that we would get to fly on one of those instead of the crappy little 727 we would have for all four legs of our round-trip journey on this trip. I wasn’t fortunate enough to have had the opportunity to fly very much in my childhood years, though any flying that I was lucky enough to do was on run of the mill 737 and 727‘s. Oh how I wish I could’ve squeezed in a 707 or DC-8 here and there! Oh well. As I was browsing Wikipedia to search for interesting things to talk about in this post, I came across something that sent chills up and down my spine. According to the numbers that are posted over there as of the time of this writing, there were 559 of these things built and delivered from 1959 to 1972. What so chilling about that, you may ask? 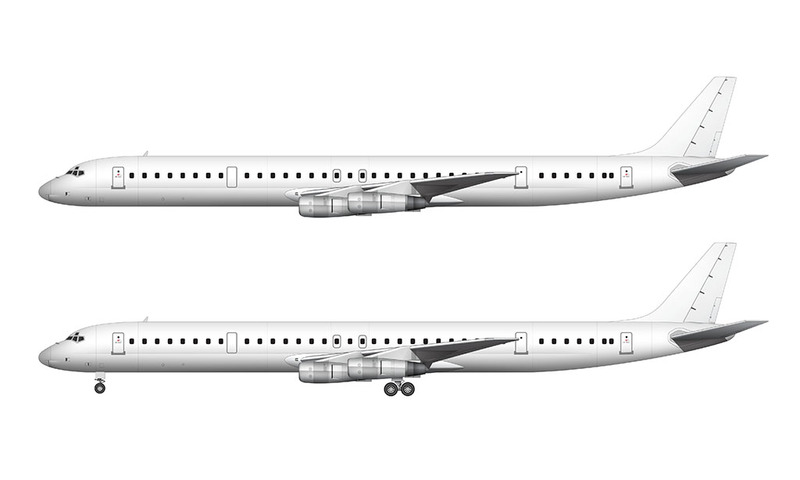 Well, with only 559 DC-8’s produced, there have been 146 recorded incidents, with 83 complete hull losses. The really chilly part is the fact that there have been 2,256 fatalities as a result of those incidents. I don’t mean to point that out as a way of saying that the DC-8 was an unsafe aircraft or anything, but it’s just a stark reminder of how far the aviation industry has come over the years and how many sacrifices we’ve had to make in order to get to the point where we are today. The Douglas DC-8 was designed and built in a time when we still had so much to learn about jet-propelled aviation (and the science behind it), and it’s very sobering to think back on all of the crashes and other incidents that have occurred in commercial aviation in those early days. It’s the kind of thing that isn’t very much fun to think about, but the good news is that we’ve learned so much from each and every one of those incidents that flying has evolved into one of our safest modes of transportation today. Sorry for going down in such a dark and dreary path for this post, but as I said, the DC-8 brings back waves of memories for me and it’s hard not to think back on how significant of an aircraft this was and how important of a role it had for shaping the look (and tech) of modern aviation. And the best part? Those waves of memories and nostalgia are flowing through me so fiercely at the moment that I think now is the time for me to go back and build out the entire 737 series – all the way back to the -100. 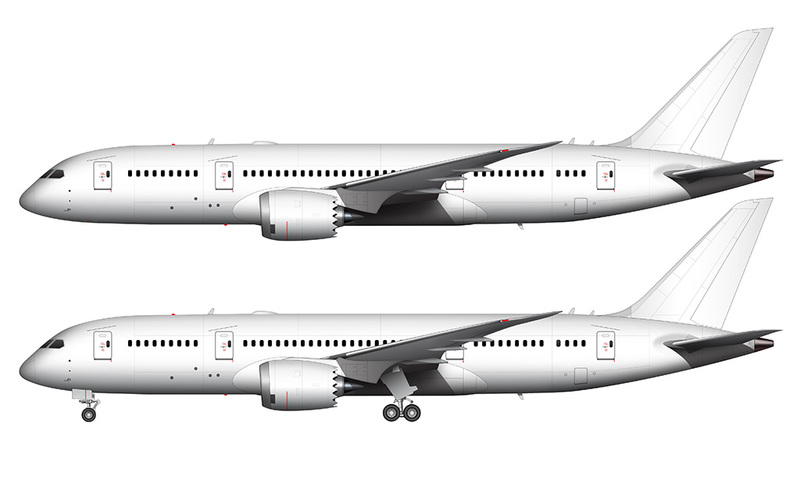 So for all of you who have been patiently asking for me to create templates of the entire 737 line, your wish has been granted because that’s what I’m starting on next week. Get ready for an influx of 737 posts! Thanks! But you didn’t read the entire post did you? 🙂 Haha, no worries – the entire 737 series is next! 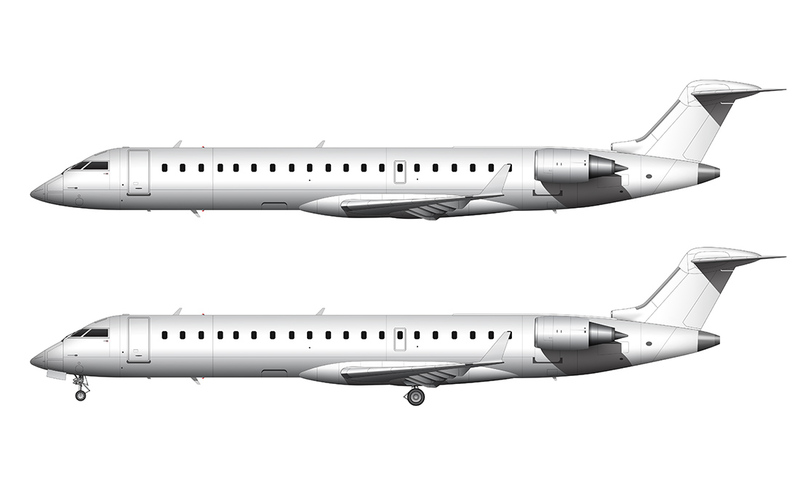 Just wondering, have you ever thought about trying a Dassault Mercure? It was a rare type, even back in the day. Pumped for the 737s! Any plans for 747s, specifically the SP? Eventually – maybe after the 737s! The DC-8 always seemed a particularly elegant looking aircraft, and the stretched versions even more so. Up close they have some sort of air intakes under their ‘chin’ that ruin their lines for me. I can’t not look at them. Thanks Martin! It’s funny what you mention about those air intakes – those are the features I like the most actually. It’s a different kind of design element not found on too many other aircraft, so that’s what I think of whenever someone says “DC-8”. I can’t wait to draw other variants of this beautiful old bird! I suppose it shows how a fairly minor design element can have a large influence. McDonnell Douglas used similar intakes on the nose of their military F4 Phantom so they seemed to like them for whatever they did. I am definitely going to do that! The CFM56’s look amazing on the DC-8 and I would have done that one first if I hadn’t had so many requests for this one.